Our rewilding efforts have now been officially re-started in the Eastern Carpathians, after a new ambitious and enthusiastic local team has been gathered and a very important cooperation agreement was signed with the Bieszczady National Park. This means that work has now begun in the Polish parts of this huge, cross-border Biosphere Reserve, with lots of opportunities also into Slovakia and Ukraine. Based on extensive discussions, meetings and field visits with key stakeholders and experts, an agreement was reached on the rewilding priorities for this area. A 10-year vision was discussed and agreed to, and work has already started on a number of activities. A key element in the agreement is to further support natural processes and wildlife comeback. The Eastern Carpathians hold one of the largest free-roaming European bison populations, some 270 animals. Rewilding Europe will support further growth and strengthening of this population in a number of ways. In particular, both parties will join efforts to strengthen different sub-populations (like in Upper and Lower San Valley) and explore opportunities to reintroduce bison also in the Uzhansky National Park in Ukraine. Natural grazing as a key process will be re-introduced in the open areas, starting with a grazing experiment of a herd of free-roaming Konik horses in the Upper San Valley in 2015. ‘’We are very pleased that Rewilding Europe has established a working relation with the Bieszczady National Park and I hope that our cooperation will be productive and bring measurable benefits to nature conservation in the National Park. I think that activities related to use of biomass from non-forest ecosystems in the park will be the first step together that will lead to future projects supporting the management of the BNP natural resources”, says Leopold Bekier, Director of the Bieszczady National Park. “We are very enthusiastic about the cooperation with the Bieszczady National Park. It is exciting that we can work in such a beautiful and unique area, putting rewilding ideas into action. For instance this agreement will give Rewilding Europe the possibility to help rewild the very beautiful Upper San Valley, former agricultural land with huge potential to become a fantastic wildlife and wilderness area”, says Katarzyna Wasiak, the new team leader in the “Rewilding Eastern Carpathians” local team. In 2012, Rewilding Europe put the work here on temporary hold, in order to better explore and secure real rewilding possibilities. 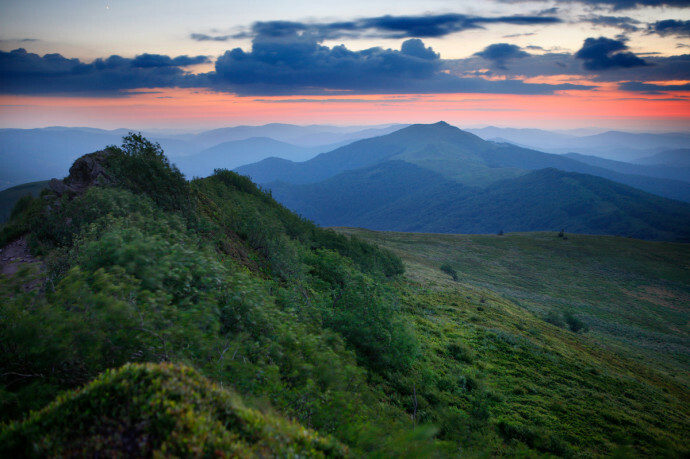 With this official commitment from the Bieszczady National Park, the Eastern Carpathians rewilding area has now started working at full speed again on the Polish side, with partners in Slovakia and Ukraine hopefully soon joining in. The new rewilding team consists of Katarzyna Wasiak (Team Leader), Aleksandra Wołoszyn-Gałęza (Rewilding Officer and bison specialist) and will be supported by special advisers Daniel Klich (rewilding horses and natural grazing) and Grzegorz Lesniewski (communications and photography).